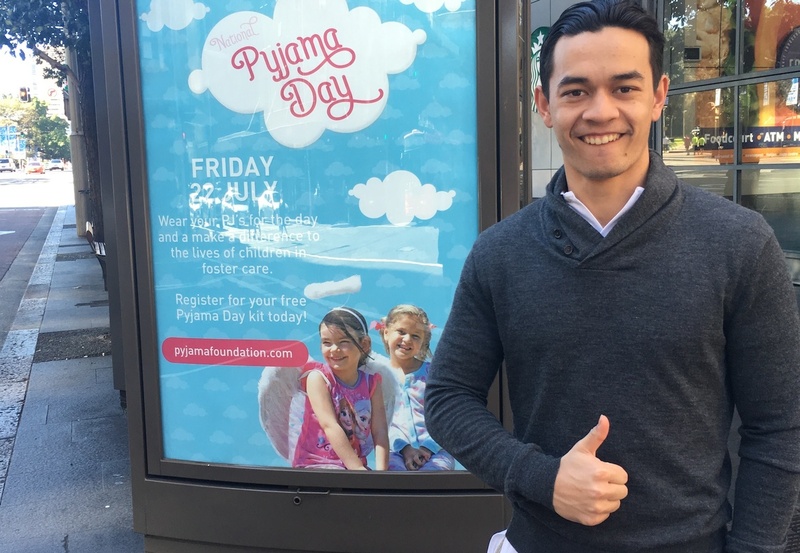 OMD’s work on the National Pyjama Day campaign has seen the media agency contribute $1.6m in value to young people living in foster care. The annual fundraising event hosted by UnLtd’s charity partner, The Pyjama Foundation, sees donors register online and activate their friends and work colleagues, to wear pyjamas for the day and donate funds. UnLtd CEO Paul Fisher said the total value of OMD’s support including value of media secured and creative services totaled more than $1.6m. “Through UnLtd connecting OMD with The Pyjama Foundation, OMD was able to unite their partners to provide highly valuable media exposure across; TV, radio, print, digital and outdoor. And the results in terms of fundraising and participation are outstanding,” said Paul. The impressive campaign results included a 100% increase donations and over 75,000 participants nationally (an increase of 90% YoY). In addition, the exposure secured by OMD has seen 10 potential new businesses and three high net worth philanthropists connect with The Pyjama Foundation, with interest to support the charity financially. Pyjama Foundation Founder and CEO, Bronwyn Sheehan, said the funds raised from this campaign would enable them to place 200 more ‘Pyjama Angels’ with young children in foster care. “More than 90% of children living in foster care have below average literacy skills. The goal of our foundation is to provide every child in care with a pyjama angel, to improve their reading and writing skills, and to help them fall in love with learning,” said Bronwyn. The Pyjama Foundation trains volunteers called ‘Pyjama Angels’ who visit the same child every week to read books, play educational games and help them with their homework. For many kids who move from foster home to foster home in their life, their Pyjama Angel becomes one of their only constant role models. “The support from the media owners who got behind this campaign has been phenomenal. It’s so rewarding to know that when we come together, we can make a real difference in young people’s lives,” said Marelle Salib, OMD Sydney Head of Trading.